It is a known fact that zombies like to eat humans, whether it is their brains, or any fleshy part that they can get a hold of. 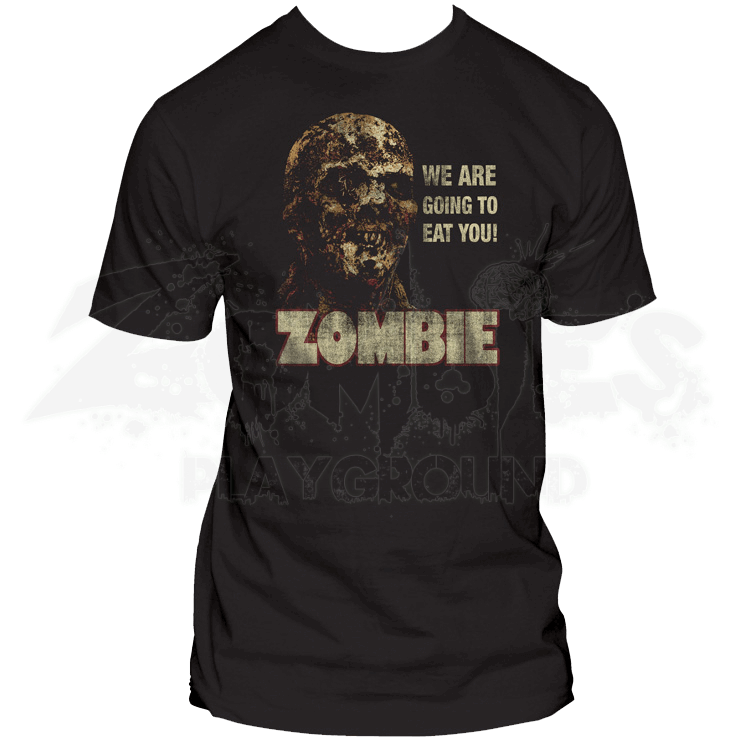 And the Ravenous Zombie T-Shirt serves to remind you that zombies are out there, looking for fresh human meals. This zombie shirt is printed on standard black cotton, which is rather comfortable to wear, and it features a thoroughly grisly zombie graphic, as well as simple, yet bold aged yellow text. The front features a grisly looking zombie set just slightly off-center. The zombie is a wicked looking ghoul that looks to be already decaying, featuring torn, tattered skin and rather gory general appearance. Next to the zombies head is a block of text that reads, WE ARE GOING TO EAT YOU, while just below the zombie is the word, ZOMBIE. This t-shirt is made from quality cotton, featuring a soft texture and a fitted shape. 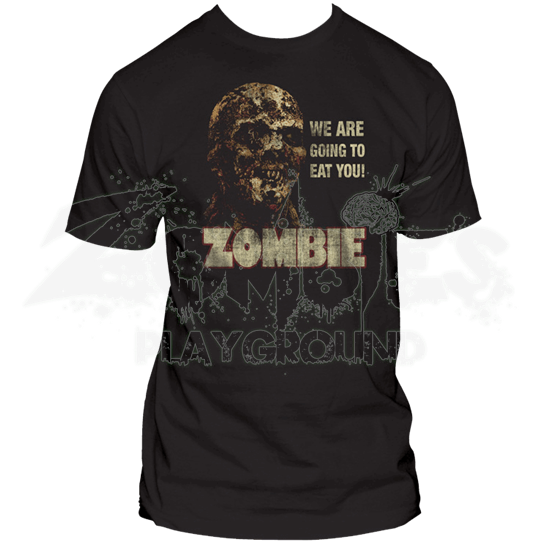 You could not ask for a more realistic looking zombie than the one displayed on the Ravenous Zombie T-Shirt, which means that zombie fanatics and enthusiasts alike will enjoy wearing this shirt out and about. It will scare some, intrigue others, but almost always will it leave a lasting impression.